A second low pressure centre in as many days will give more snow to the South Coast beginning this afternoon and continuing into Tuesday. This second disturbance will spread snow to virtually the entire South Coast with heaviest amounts falling tonight. 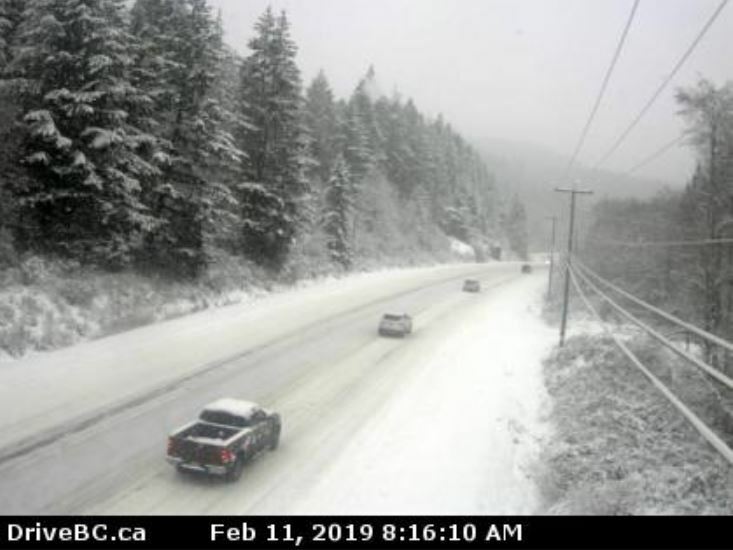 Total snowfall amounts will vary across the region with 15 to 25 cm falling in most areas and the highest amounts likely on Vancouver Island and on the Vancouver North Shore. The BC Transit website was down when we checked, but it’s probably safe to assume that buses are not running on time. There are a number of cancellations for BCFerries. Tree on road between Cerantes Rd and Sheringham Point Rd for 54.2 km (12 km east of Jordan River to Port Renfrew). Road closed. High winds. Winter driving conditions. 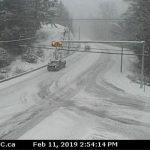 Hwy 14 shut down from Kirby Creek Rd (Shirley) West to Port Renfrew. Next update time Mon Feb 11 at 4:30 PM PST. Last updated Mon Feb 11 at 10:52 AM PST. 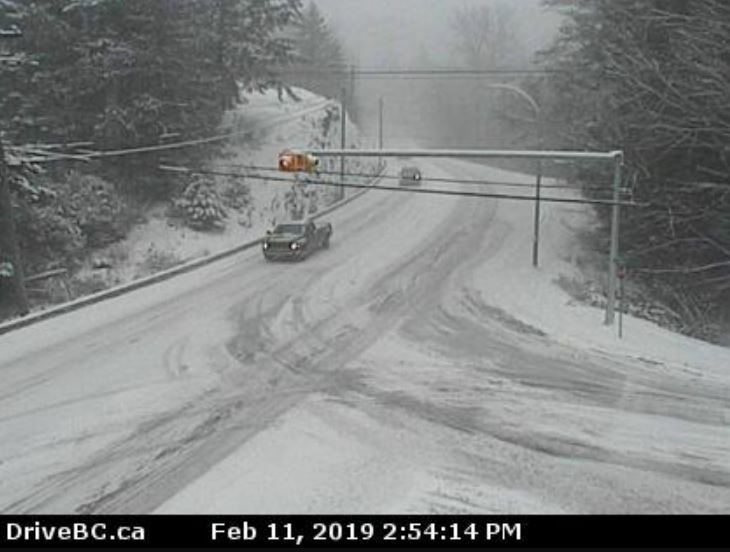 NEW: Travel advisory in effect between Parkinson Rd and Humpback Rd for 81.7 km (Metchosin to 3 km east of Port Renfrew). Compact snow. Winter driving conditions. Travelers drive with all due care and attention. Side roads snow covered, will be plowed by priority status. Next update time Mon Feb 11 at 12:00 PM PST. Last updated Mon Feb 11 at 10:55 AM PST. Snow is accumulating. This one comes from 2:54pm Feb 11.